Pacifiers are pretty popular with babies. They soothe, comfort and help little ones fall asleep. 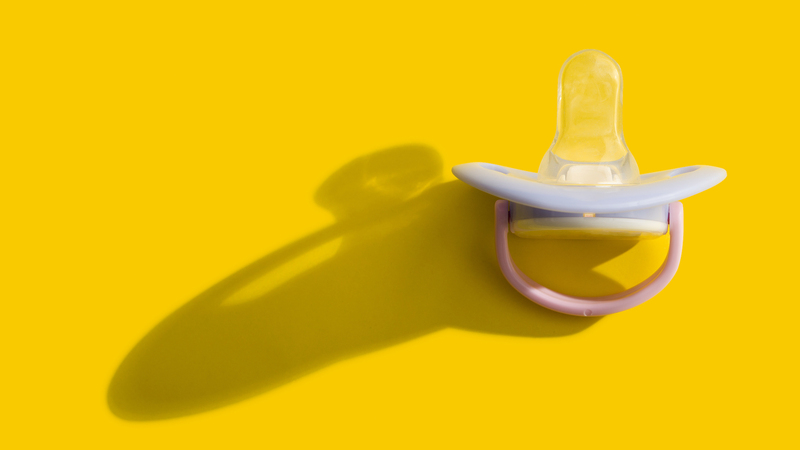 But many parents (and doctors) discourage their usage, as pacifiers can cause breastfeeding problems, and according to the Mayo Clinic, prolonged sucking can lead to dental problems. However, pacifiers may offer an unexpected benefit. According to a new study, cleaning a baby’s pacifier with parental spit may keep them from developing allergies. The study, conducted by the Henry Ford Health System and presented at the American College of Allergy, Asthma and Immunology’s Annual Scientific Meeting, followed 128 mothers over 18 months. Researchers found that infants who used pacifiers and whose pacifiers were cleaned in/by their mother’s mouth were less likely to carry the IgE antibody — an antibody linked to allergic reactions. But that’s not all. According to Dr. Eliane Abou-Jaoude, an allergist and the study’s lead author, the act also triggers an immunoresponse that could help these children later in life. That said, it is important to note that correlation is not causation. It is also unclear if these lowered production levels impact children later in life. The good news is that researchers remain hopeful, and additional studies will be conducted.